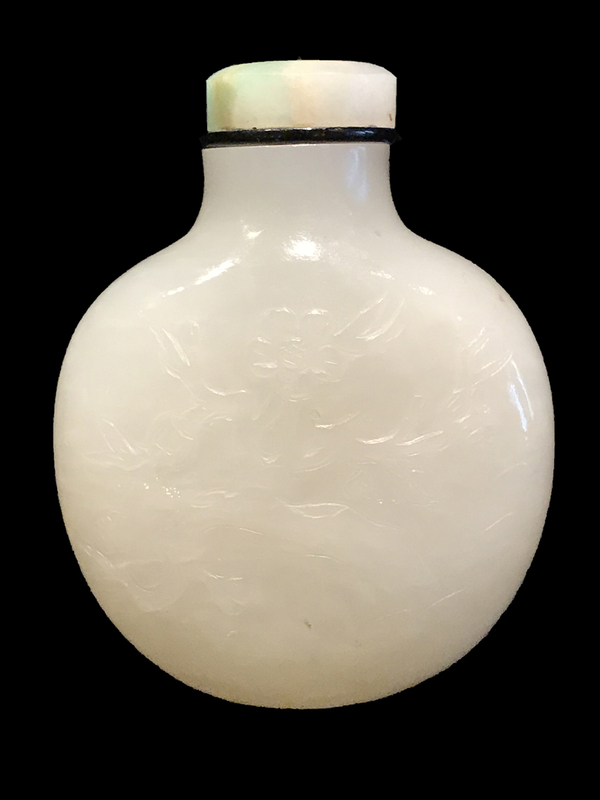 This elegant white jade snuff bottle is rendered from a river worn pebble of Khotan nephrite. The interior is well rendered from an exceptionally small opening. The body of the bottle is rendered in low relief depicting prunus branches. The foot is slightly indented and the stopper is jadeite jade. The color of the nephrite is a fine even white color and as such is highly prized. In our opinion the material, workmanship and subject matter suggest a date of 1800-1850 for this superbly rendered snuff bottle.